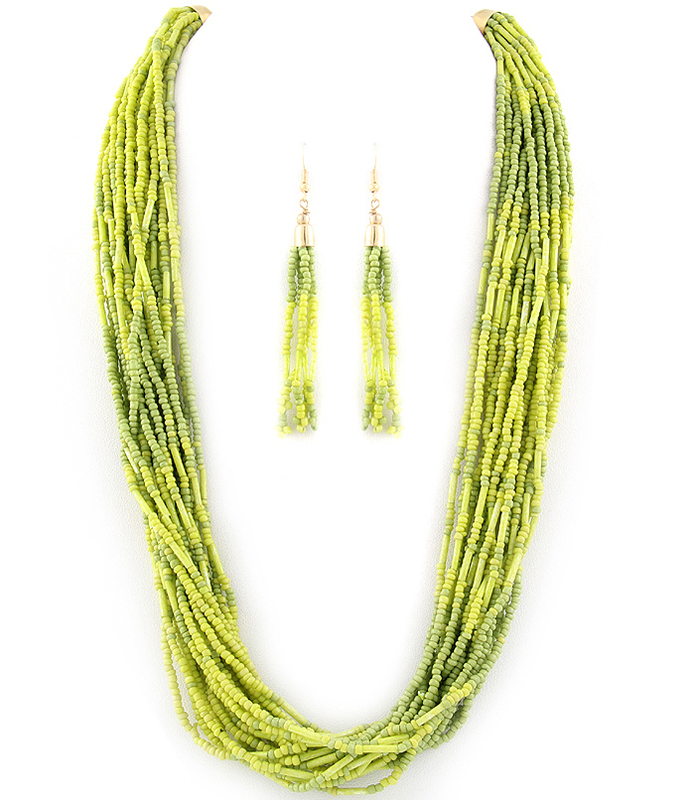 A string of seed beads are presented in two shades of green. This Margaret Necklace Set comprises of a multistrand necklace and drop earrings. Shop this necklace set today from one of Australia's favorite jewellery stores. Quality is guaranteed with our hassle free exchange policy.